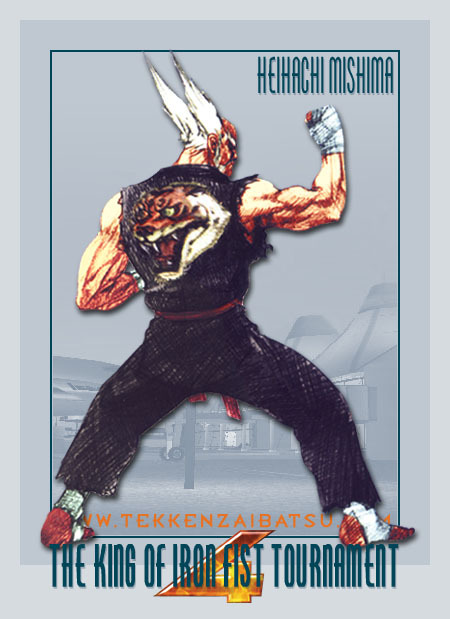 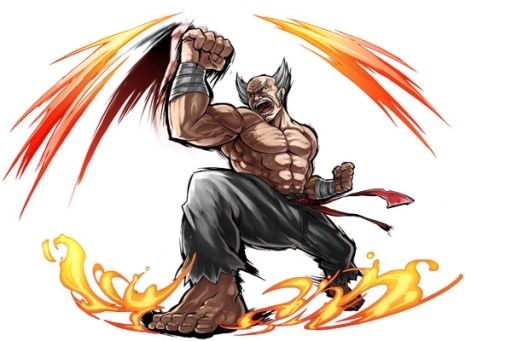 Heihachi was born as the heir to the rich, powerful, and well-respected Jinpachi Mishima, owner of the powerful Mishima Zaibatsu and a world-famous martial arts master. 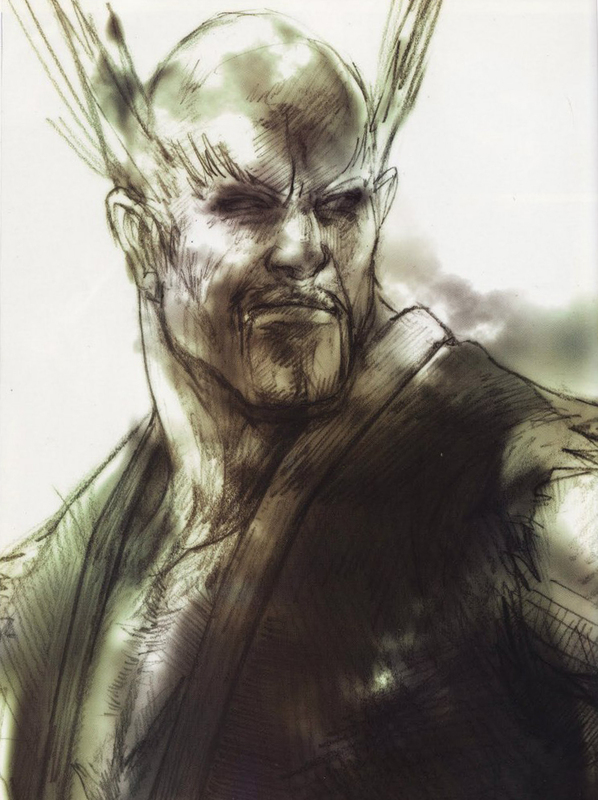 At some point, Heihachi betrayed Jinpachi and stole the Zaibatsu from him. 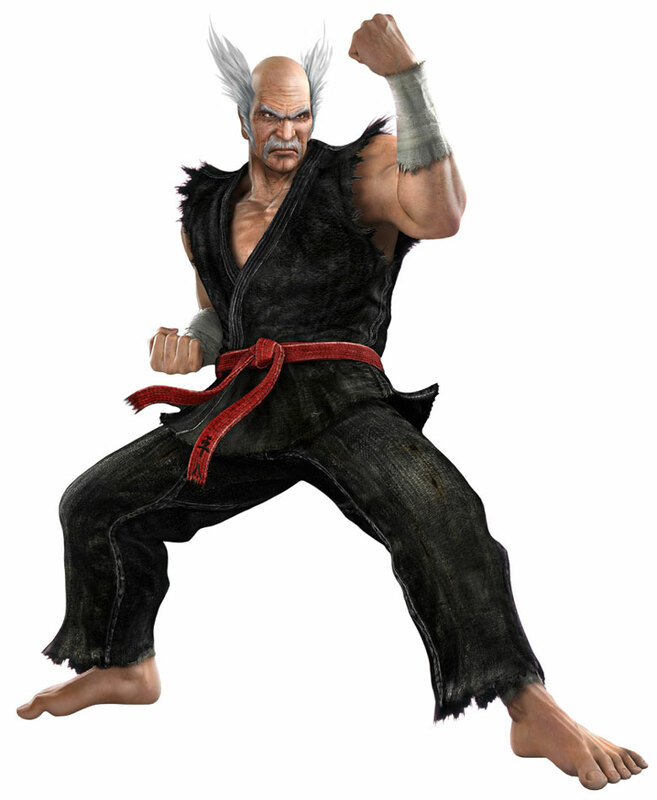 In the timeline of Tekken (1), Heihachi is the owner of an enterprise (the Mishima Zaibatsu) and a master of Mishima Style Karate. 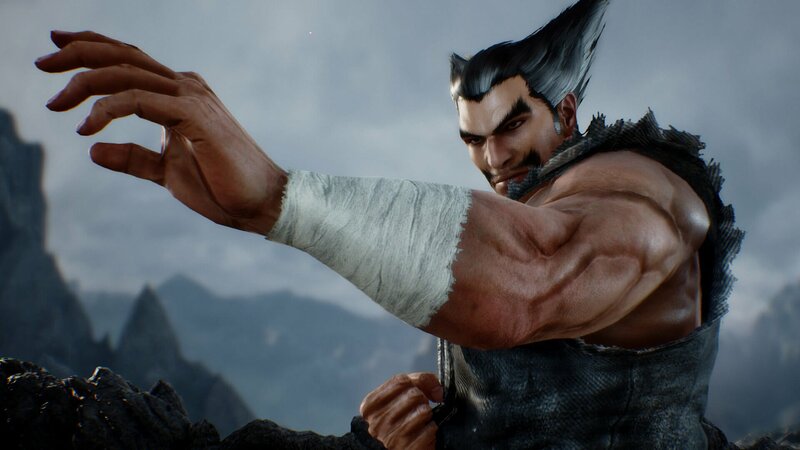 Before the events of the original Tekken, Heihachi threw his young son Kazuya, whom he considered weak, off of a cliff to test his son's strength... but Kazuya survived. 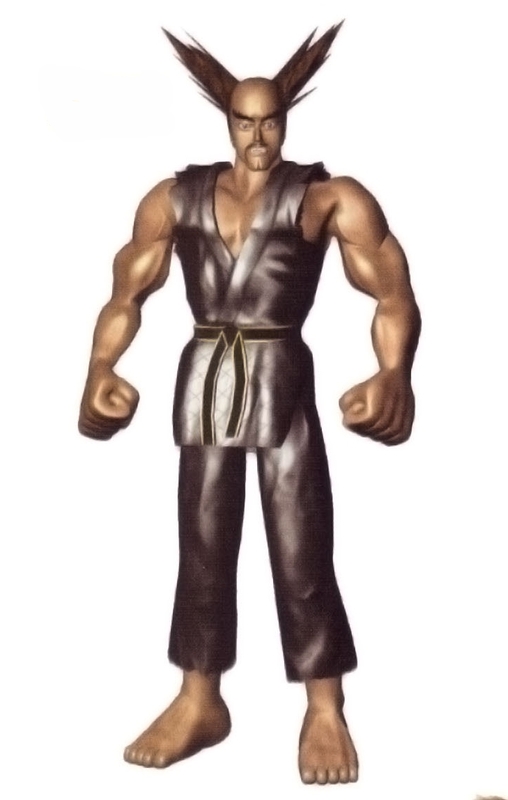 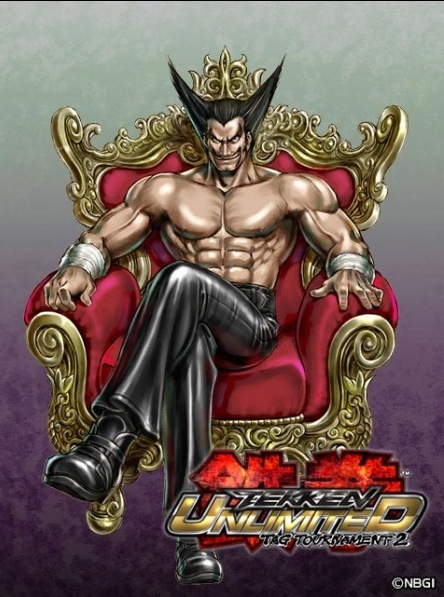 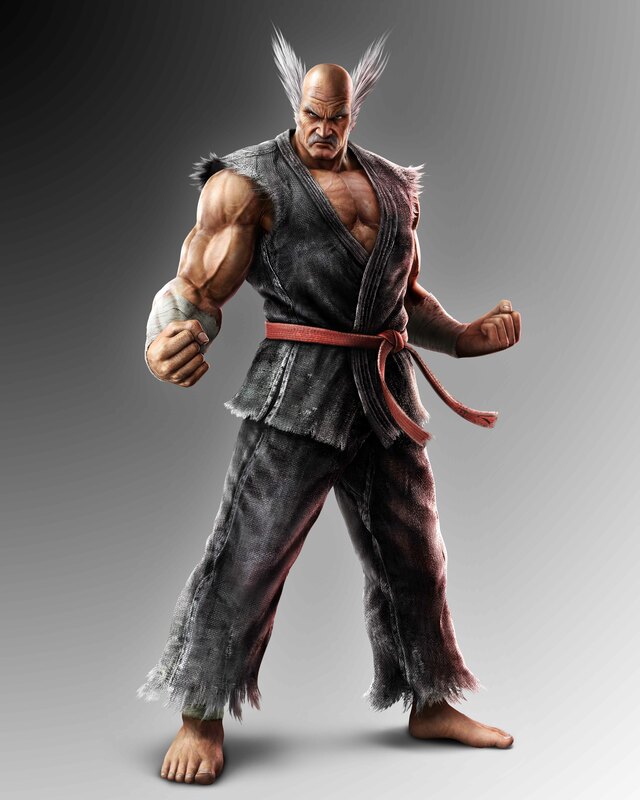 To further motivate Kazuya, Heihachi adopted a Chinese orphan named Lee Chaolan and raised him as a rival to his true son. 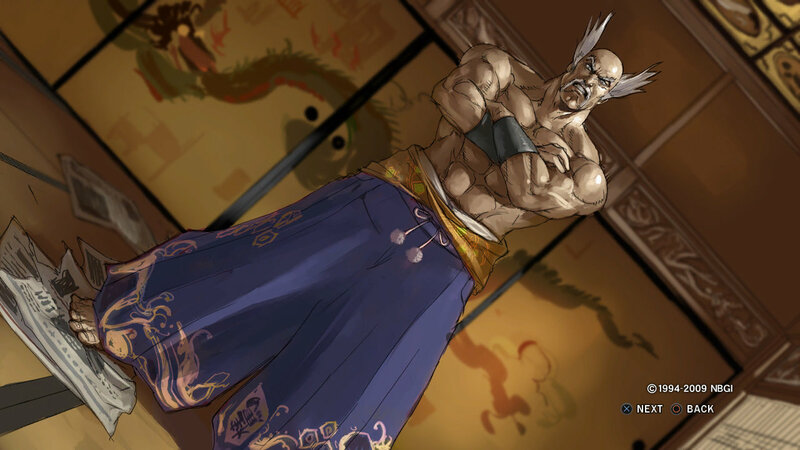 He then announced the first King of Iron Fist tournament to truly test his son's strength. 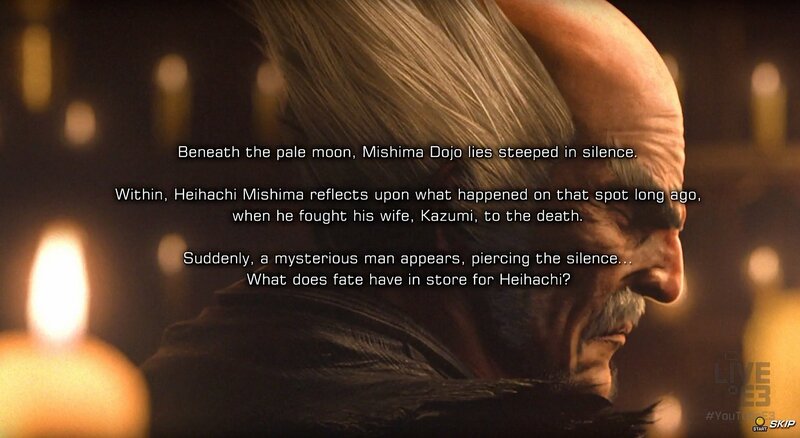 Much to Heihachi's surprise, he was beaten by Kazuya who ironically tossed Heihachi off a cliff. 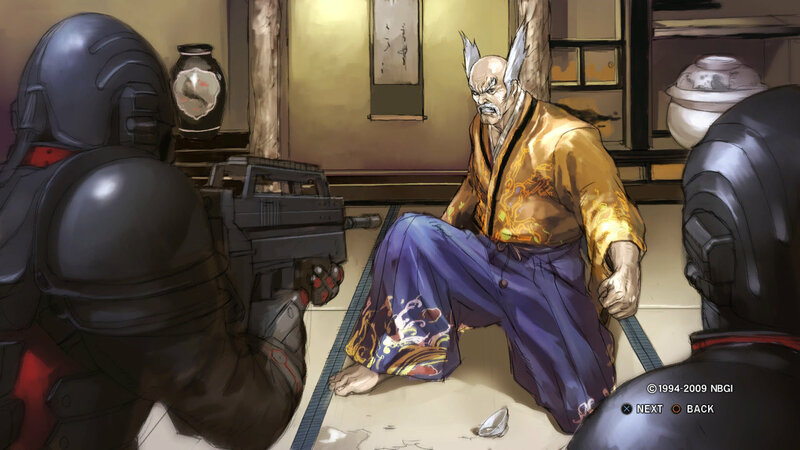 However, Heihachi survived... and trained to regain what he once had. 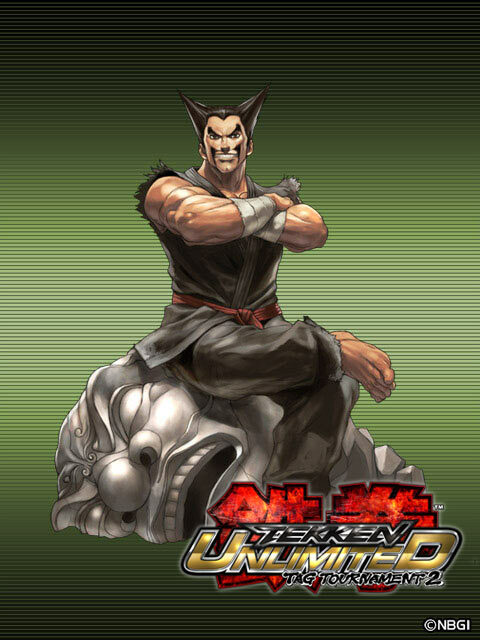 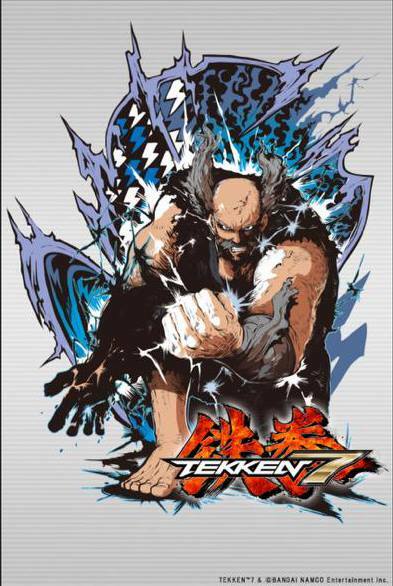 2 years later, Heihachi returns in The King of Iron Fist Tournament 2, hosted by Kazuya. 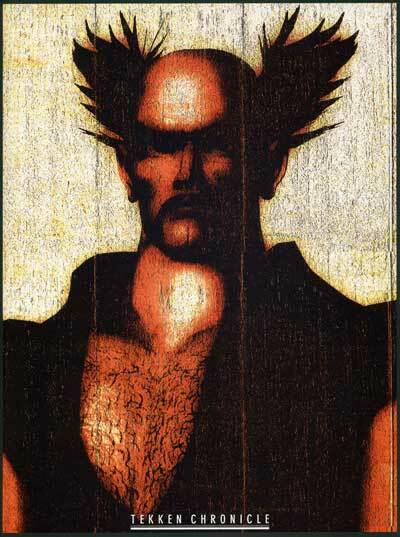 In Tekken 2, Heihachi defeats Kazuya and tosses him into a volcano. 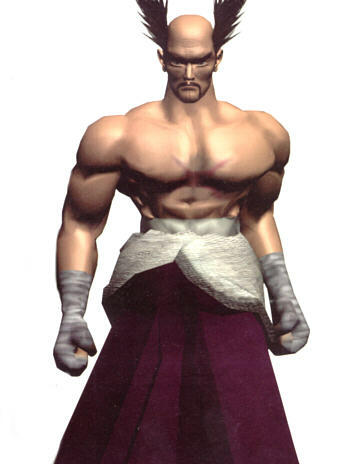 He believes Kazuya to be dead at this time (along with everyone else), but Kazuya would later return in Tekken 4. 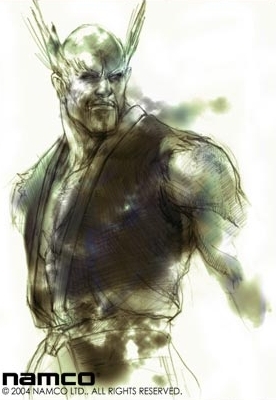 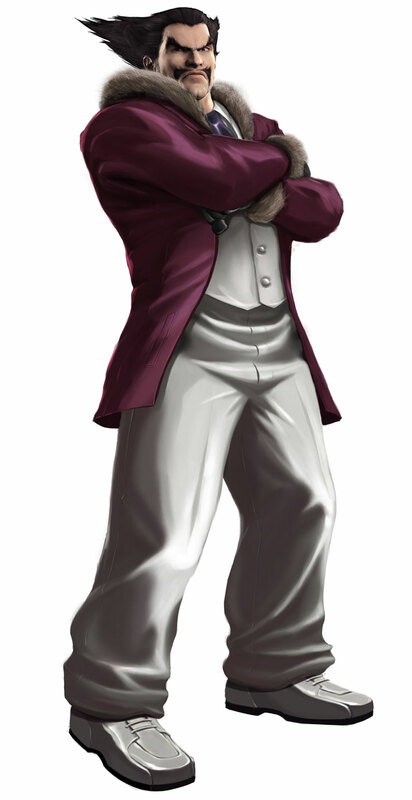 Now once again the head of the Mishima Financial Empire, Heihachi organized "Tekken Force", the MFE's private corps, and dispatched them to settle disputes and bring wasteland under cultivation to feed the poor countries of the world, in order to gain the support of leaders worldwide. 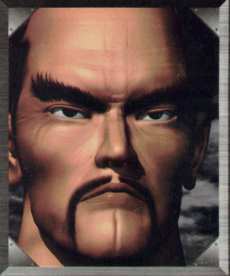 Fifteen years later, a secret excavation of Central American ruins by the Tekken Forces unearths an unusual find. 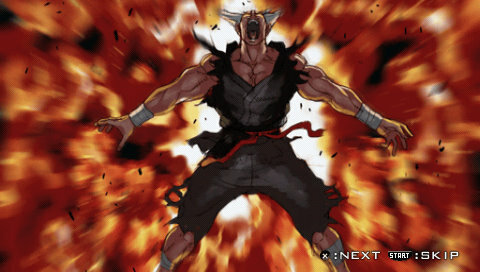 They were annihilated by a mysterious being. 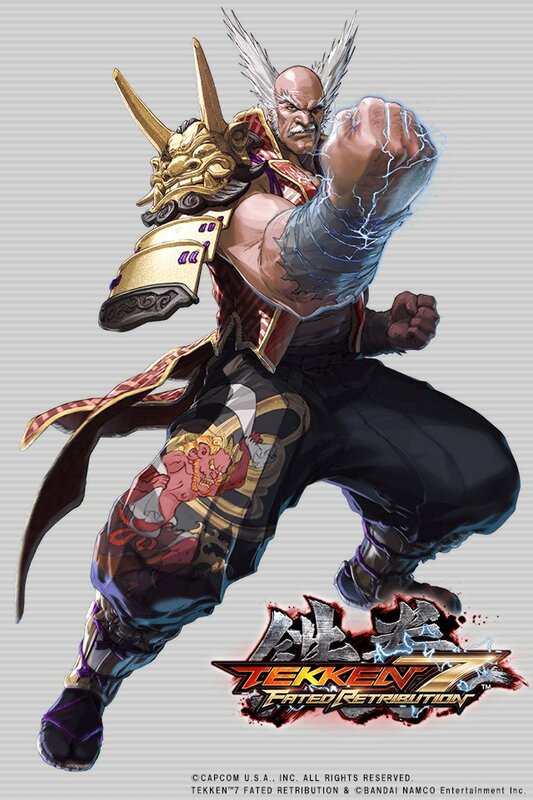 Heihachi realized that the mysterious being could be the legendary Ogre, and took action to realize his life's goal: to capture Ogre and therefore rule the world. 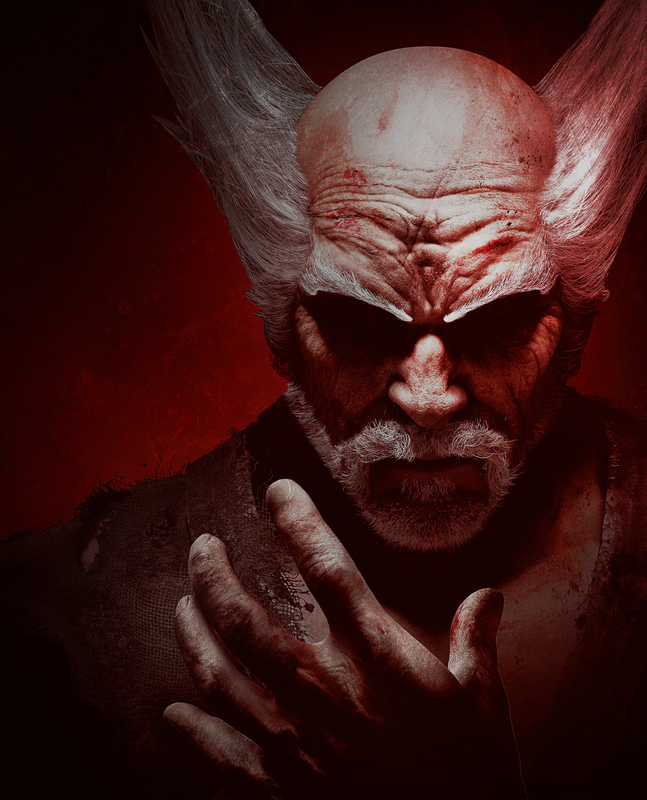 Heihachi made his researchers collect blood and tissue left behind by Ogre and attempted to create a new life form by combining its genetic material with his own. 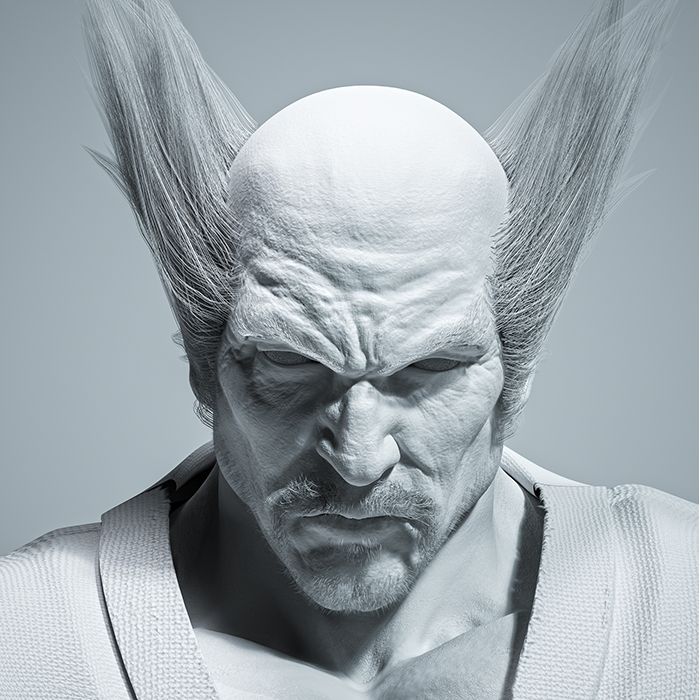 The experiment failed, however, and Heihachi learned that he lacked the Devil Gene necessary to integrate Ogre's genome into his. 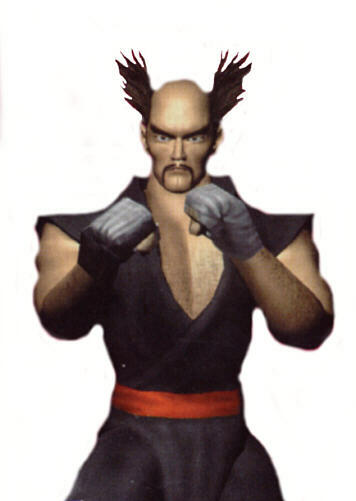 One day, Heihachi was visited by a 15-year-old boy named Jin Kazama. 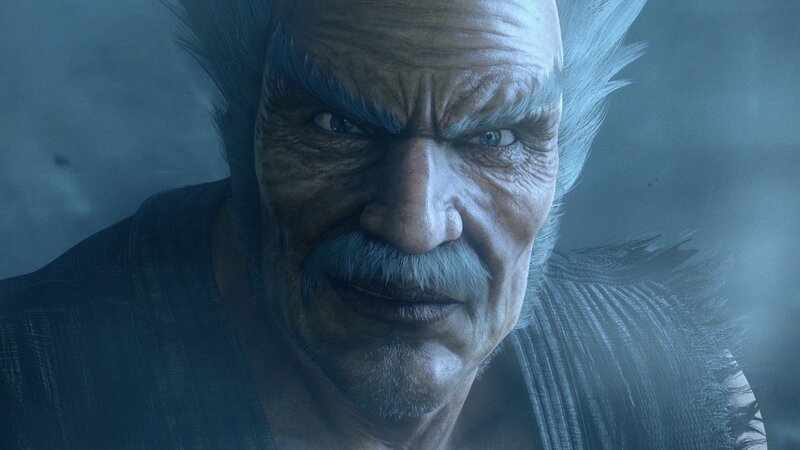 Being informed that Jin was his grandson and hearing what had happened to his mother, Jun, Heihachi reasoned that Ogre thrives on the "strong souls" of others. 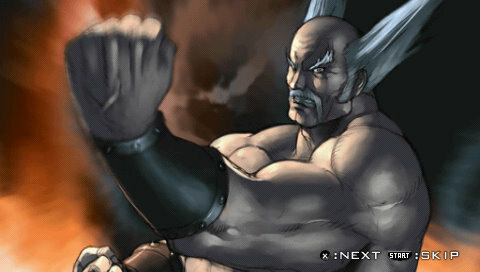 Heihachi trained Jin to use him as a decoy to lure Ogre. 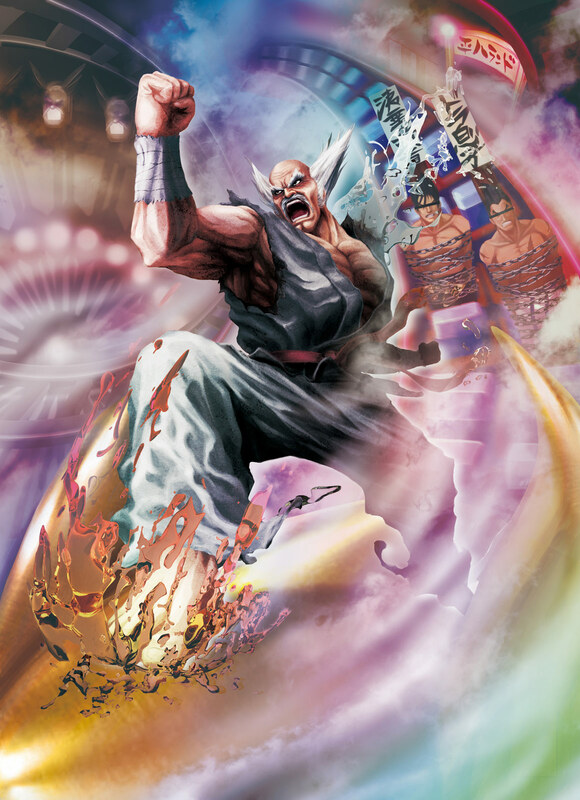 When Jin's was 19 years old, Heihachi declared to the world that the third "King of the Iron Fist Tournament" was forthcoming. 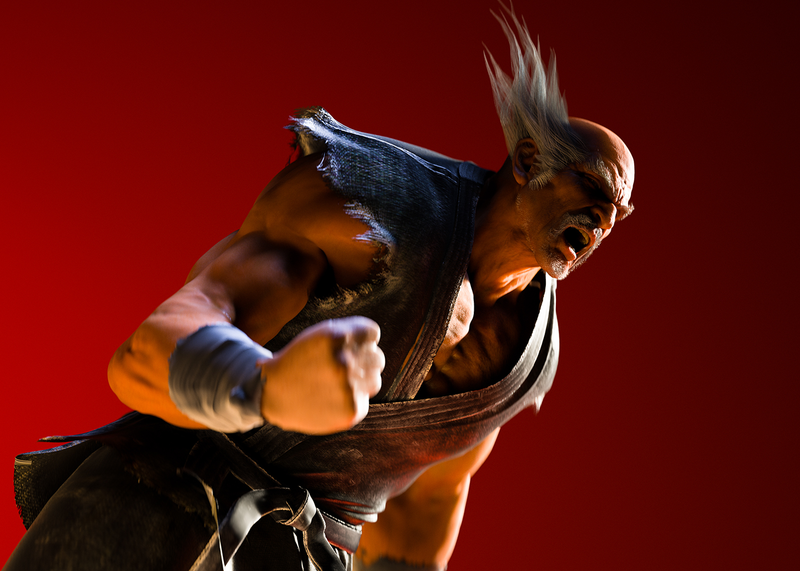 At the same time he noticed that Jin, the youngest of Mishima bloodline, began to show the same dangerous power Kazuya had. 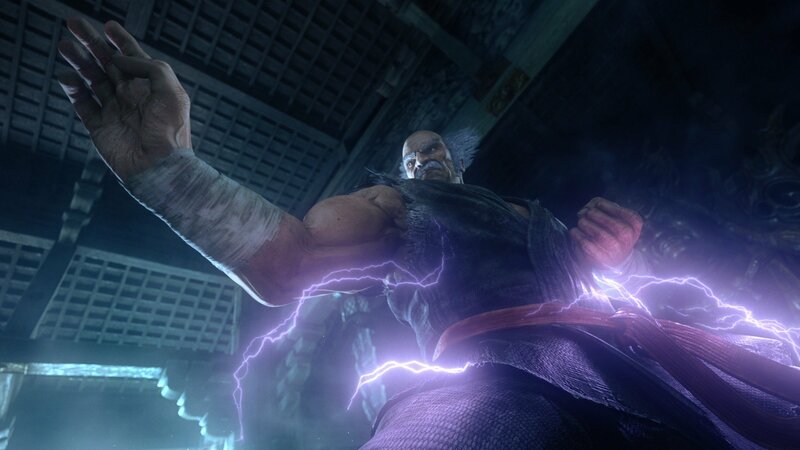 Heihachi decided to dispose of Jin after he lures Ogre, in order to end the doomed destiny of the MFE. 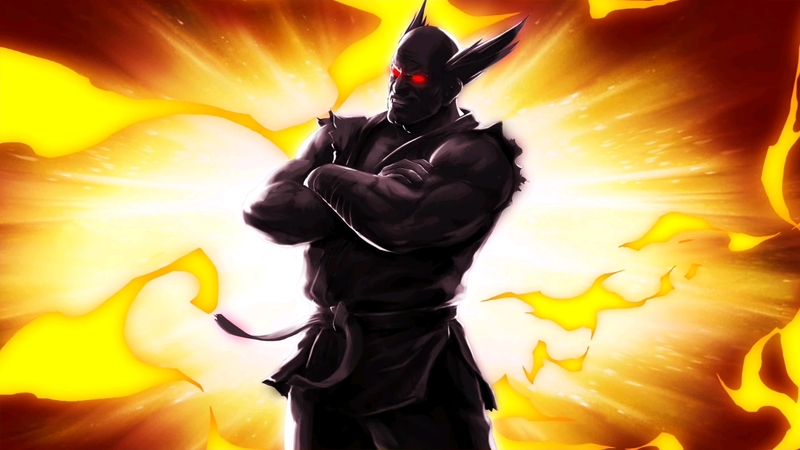 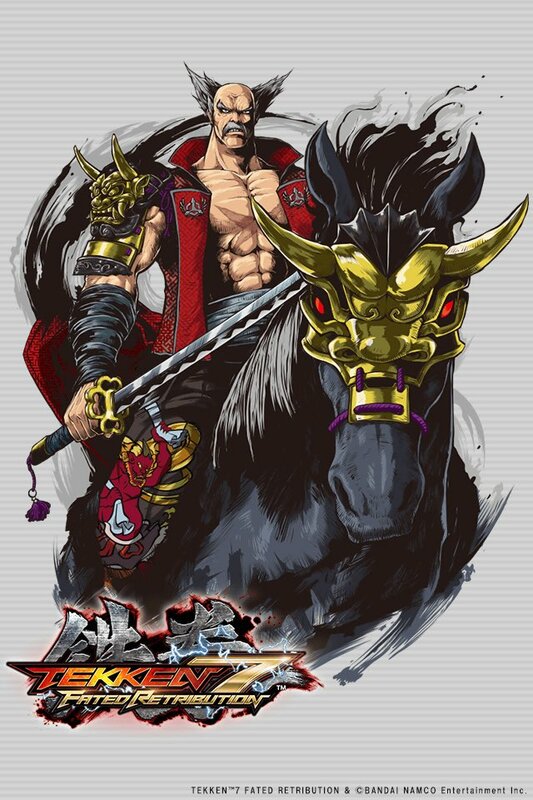 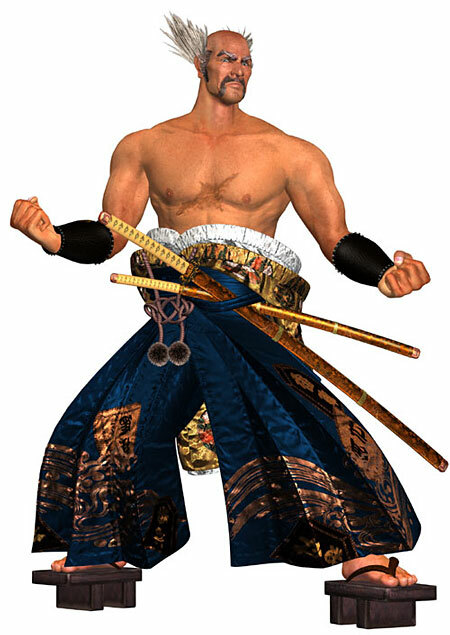 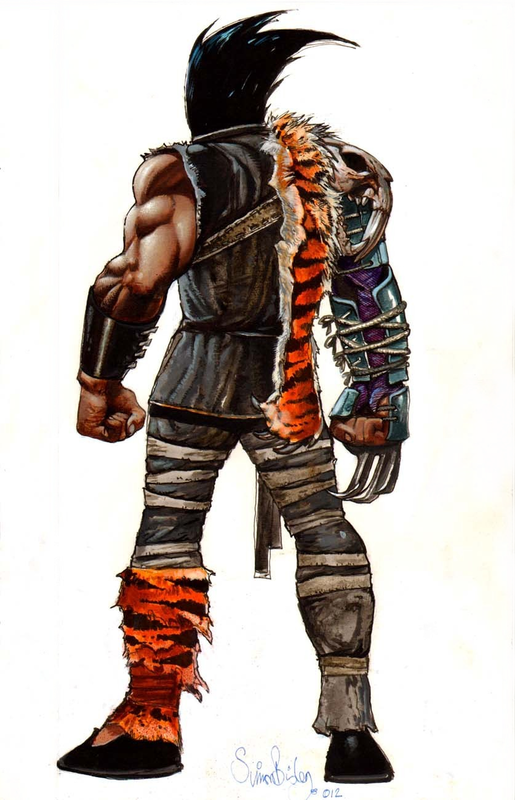 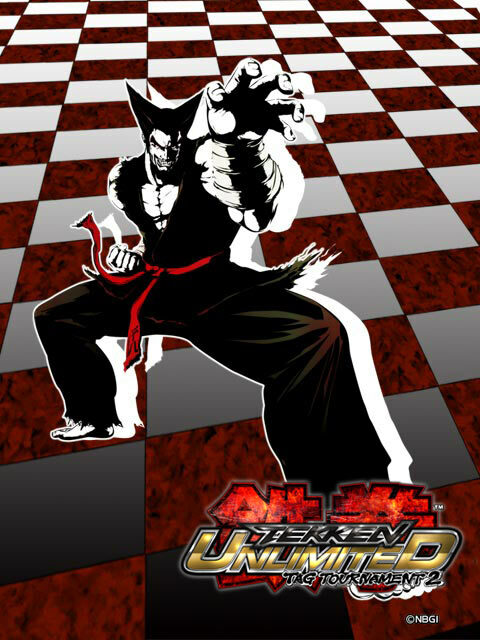 He attempted to kill Jin after the third tournament, but Jin survived and transformed into a devil (Devil Jin). 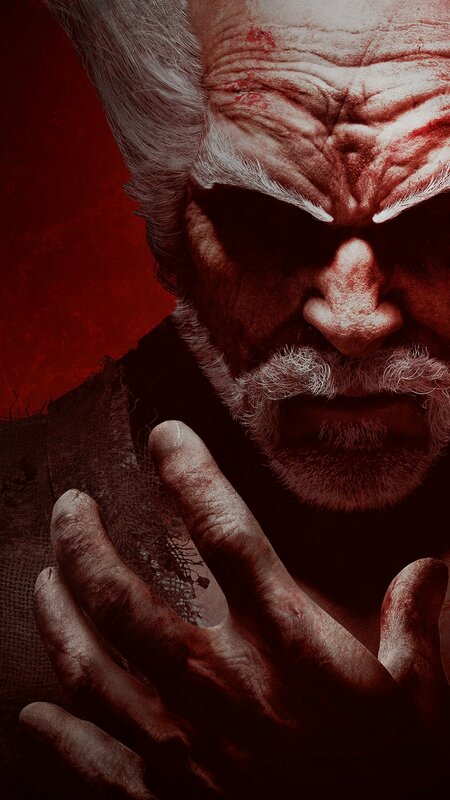 During the search, Heihachi learned that the body of his son, Kazuya - whom he killed 20 years ago - was stored at a cutting-edge biotech firm called G Corporation. 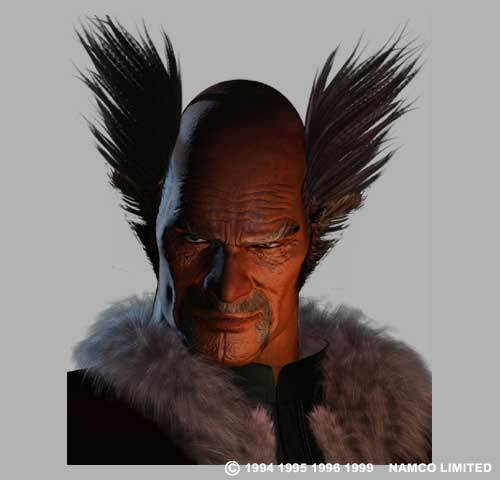 Heihachi ordered his Tekken Force to raid G Corporation in an attempt to obtain Kazuya's remains. 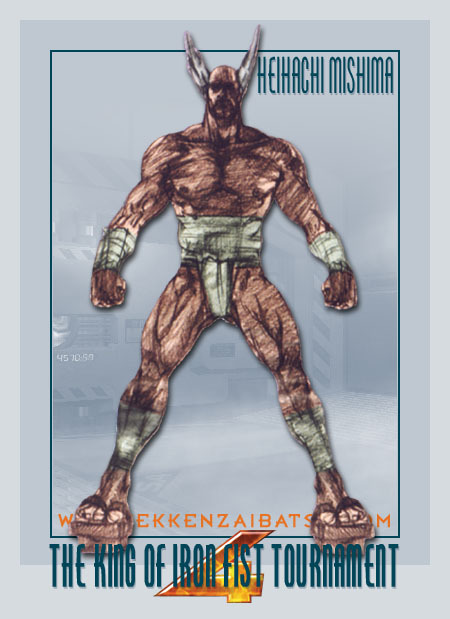 They obliterated G Corporation's laboratory, and the mission appeared to be successful. 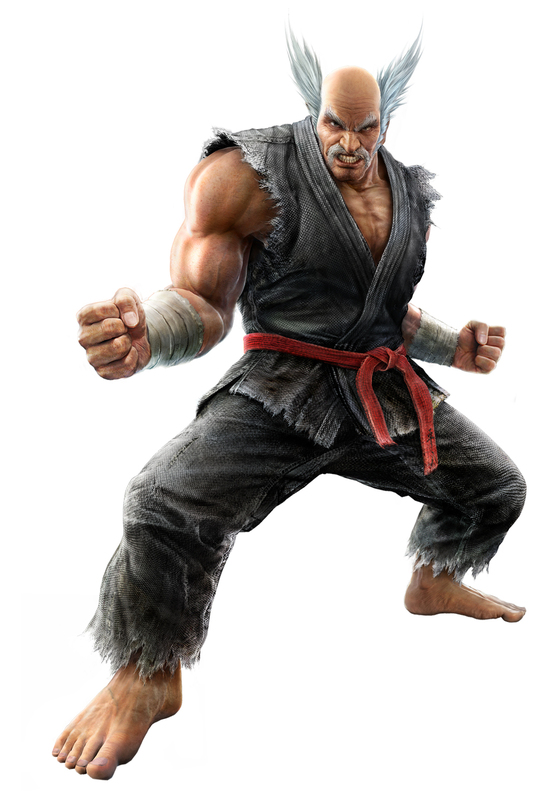 That was until Kazuya, revived by G Corporation, retaliated and caused the mission to fail. 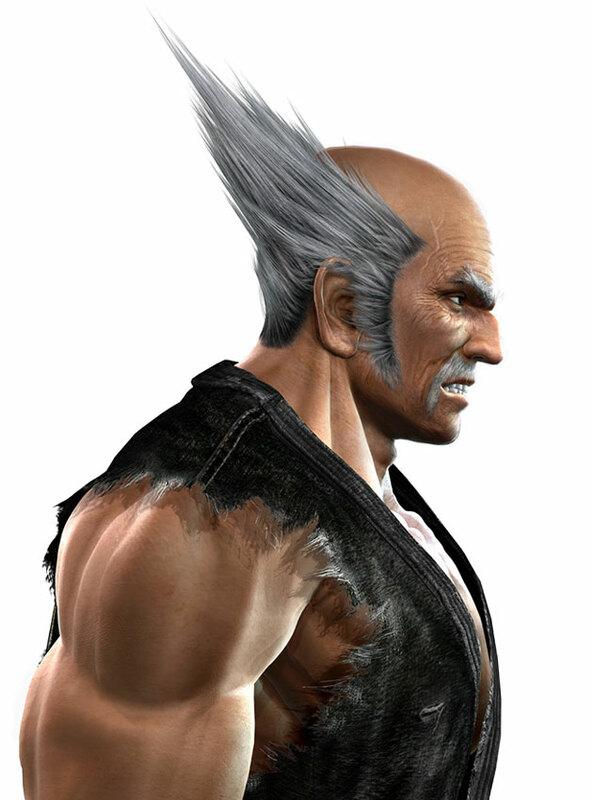 Heihachi needed Kazuya or Jin's body to create the new life form. 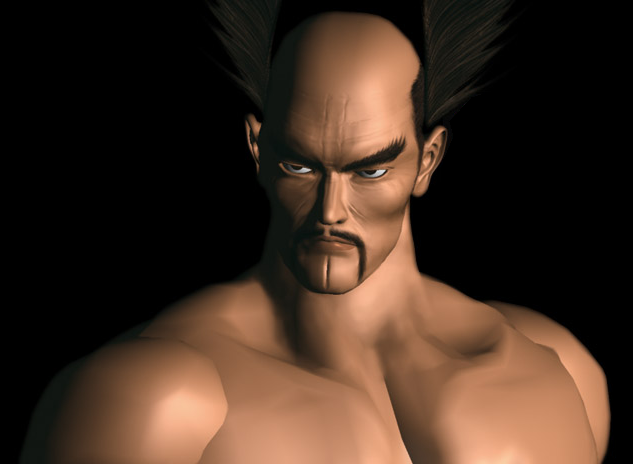 After much deliberation, an evil smile crept onto Heihachi's lips. 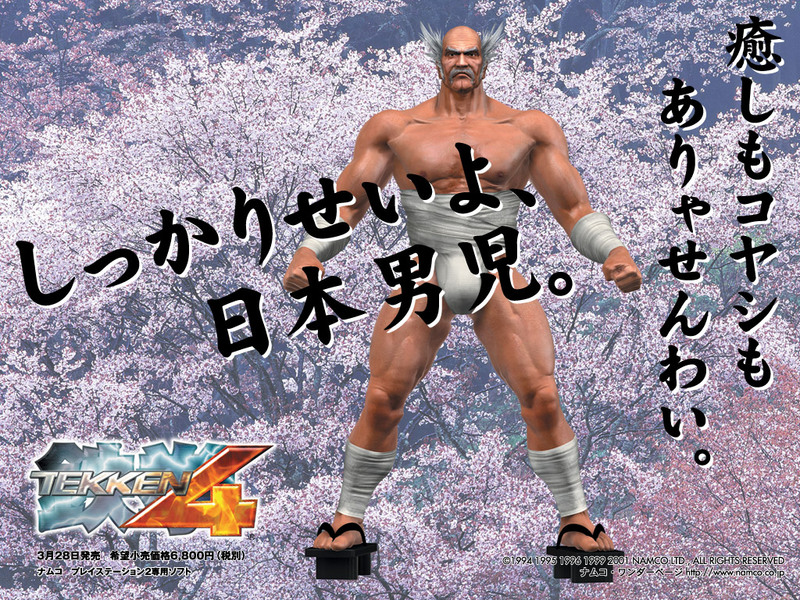 The next day, an announcement was made for The King of Iron Fist Tournament 4, with the Mishima Zaibatsu as the prize. 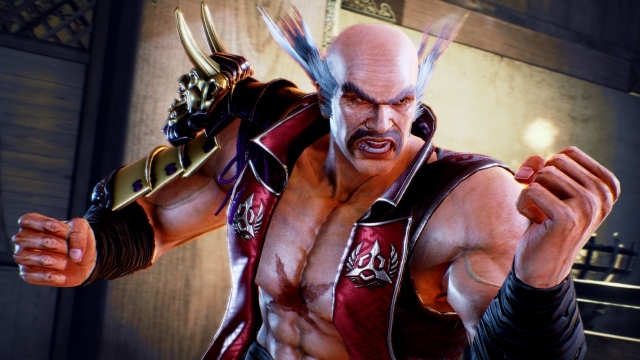 After being overwhelmed and knocked unconscious by the Jack force, Heihachi wakes up only to find out that the King of Iron Fist Tournament 5 has already ended. 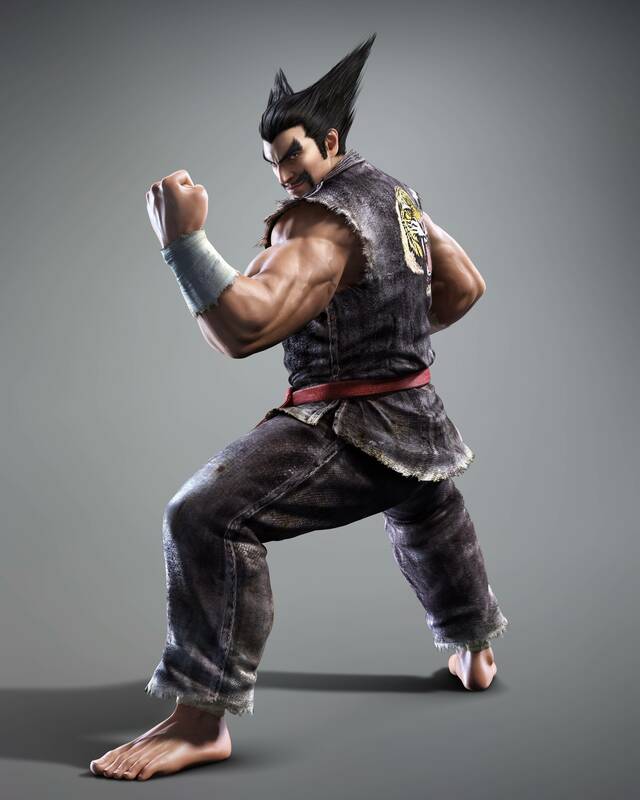 He goes back to Zaibatsu headquarters only to find the Tekken force blocking his way. 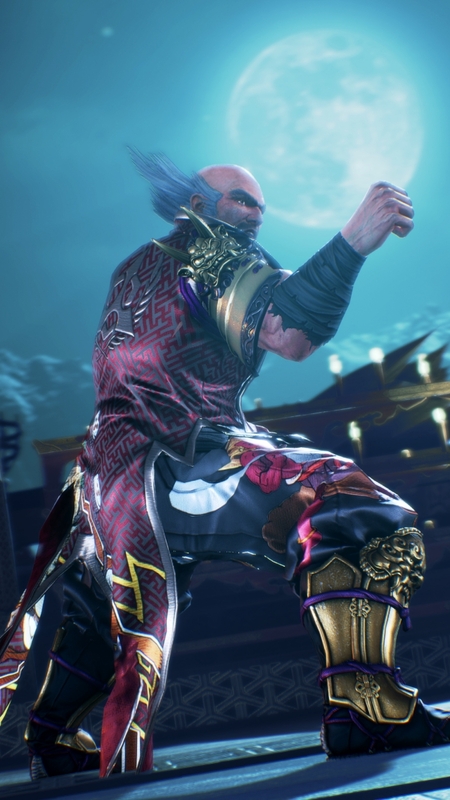 After the next Iron Fist Tournament is announced and Heihachi finds out that Jin Kazama is the new head of the Mishima Zaibatsu, he is enraged and declares that he will get everything back. 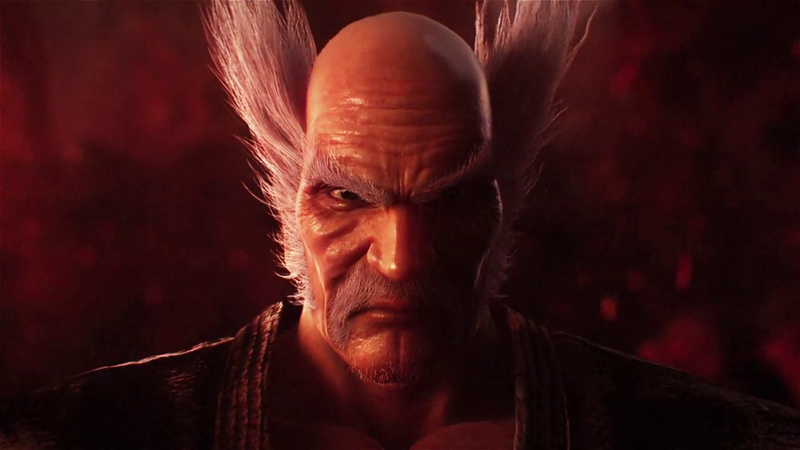 Heihachi has certainly come a long way... and he's developed quite the reputation over the years. 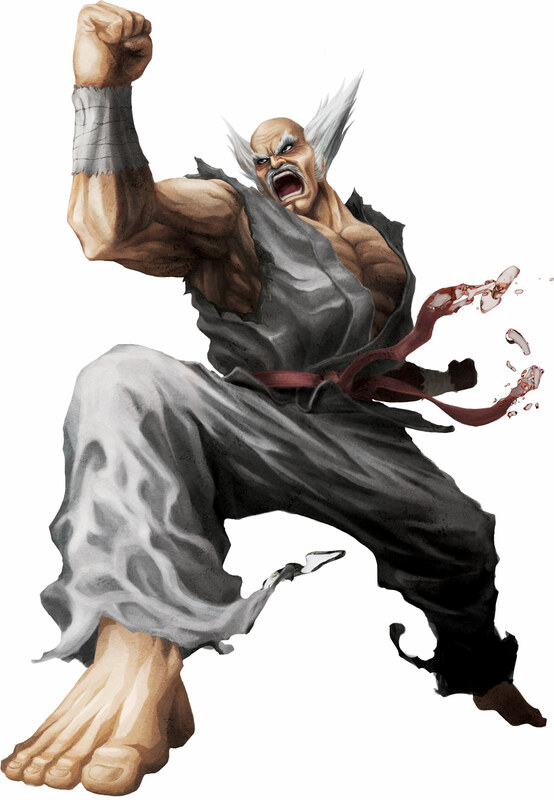 Heihachi is undeniably one of the most charismatic fighting game villains in history. 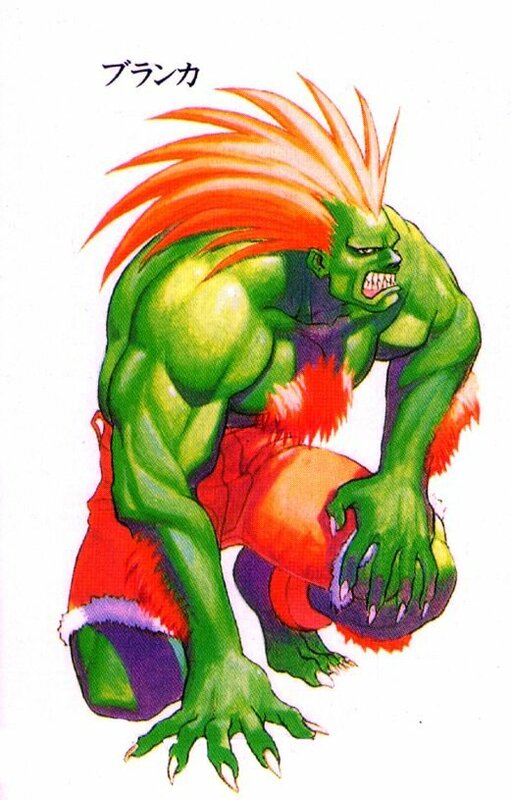 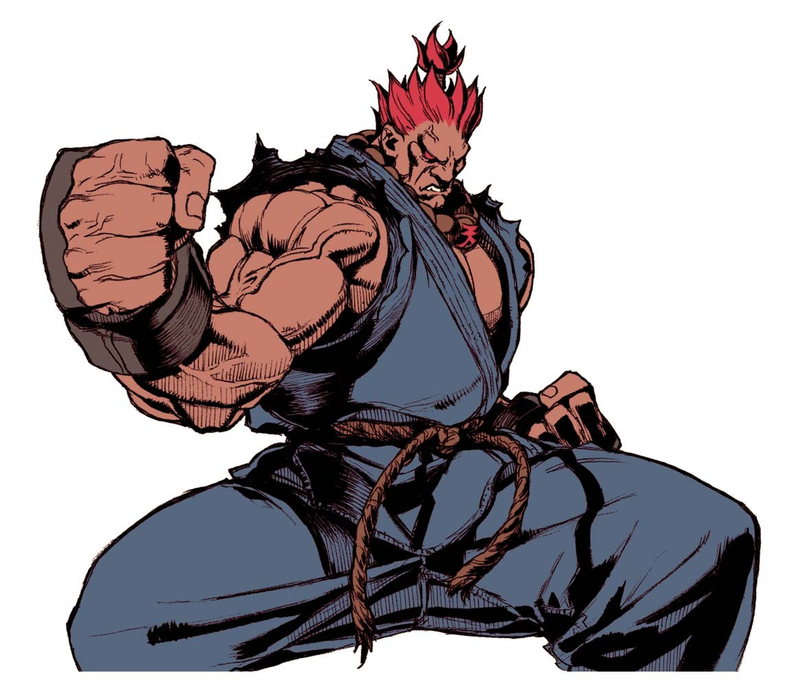 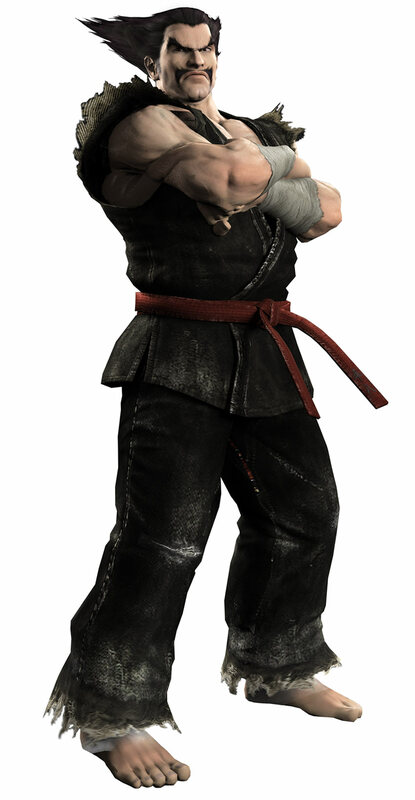 He's got a hard-hitting Karate based fighting style (which real life martial artists can greatly appreciate), a truly unique appearance (dat hair), and a great sense of humor as well. 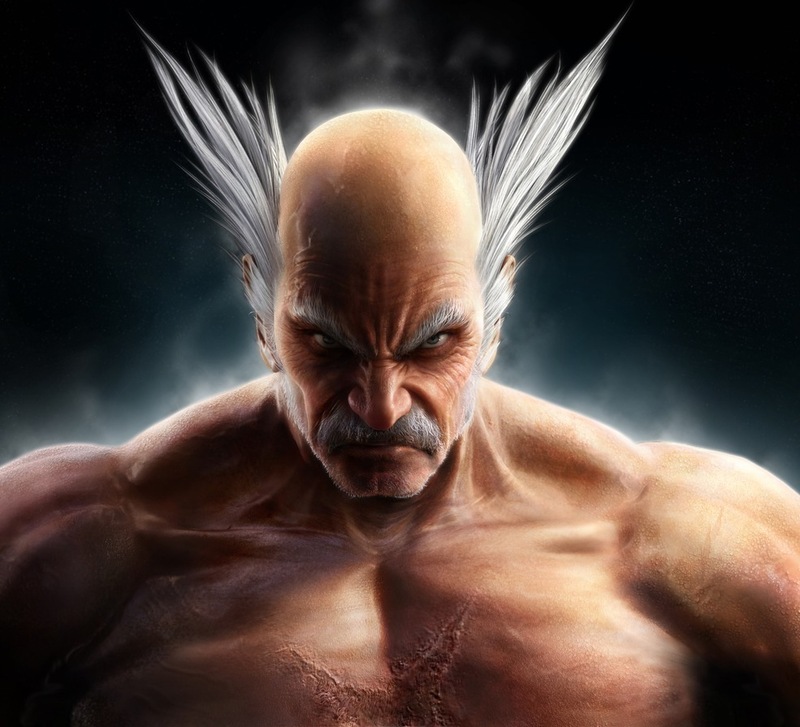 Worth mentioning, I've never seen a fighting game boss used as comic relief as much as Heihachi, and all the while, he still retains all of his badass factor. 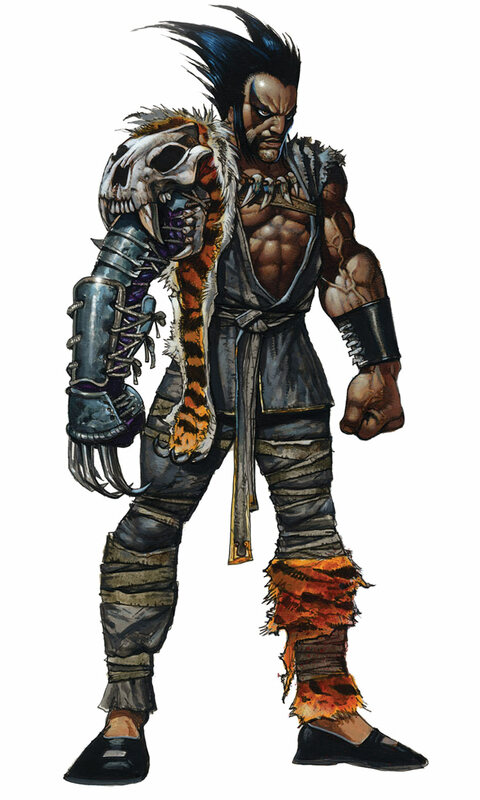 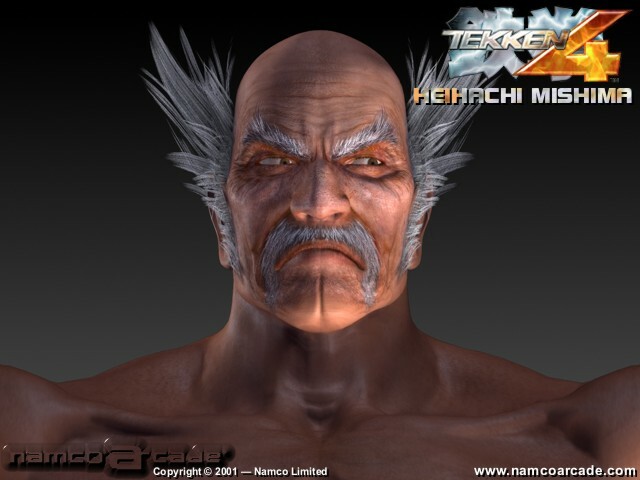 Heihachi evolved very significantly in the Tekken series. 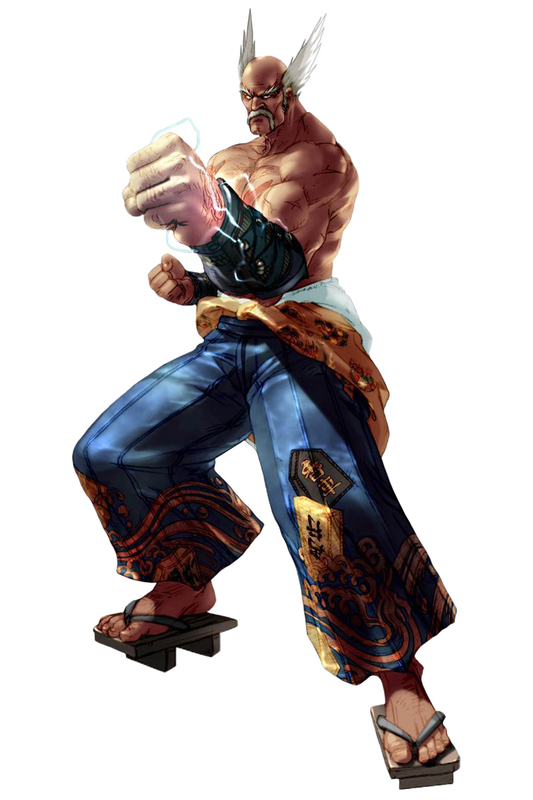 Namco always gave him badass new moves in the sequels, and improved on his appearance. 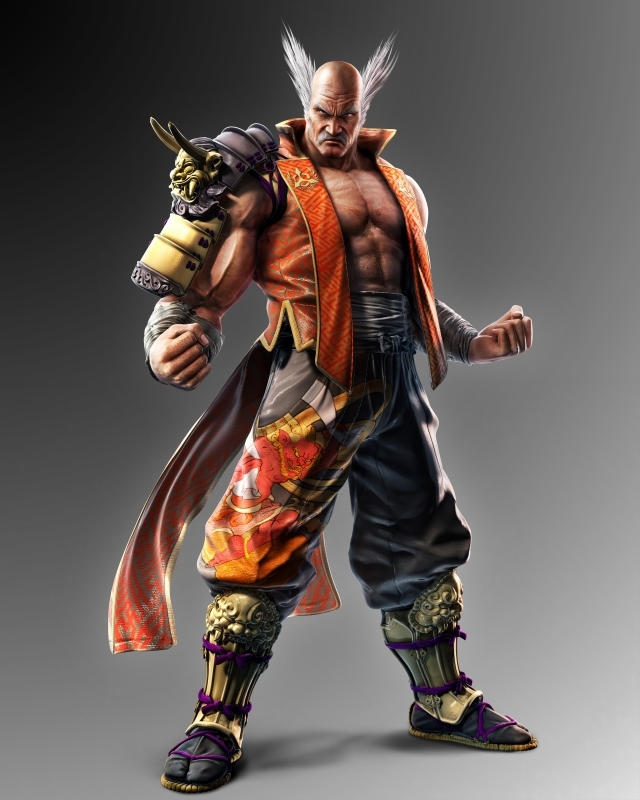 It was also epic to see Hachi appear in Soul Calibur 2... it's simply a joy to use a Mishima character in a Soul Calibur game. 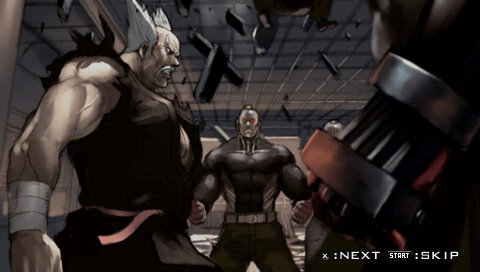 Easily one of my favorite moments of fighting game history right there. 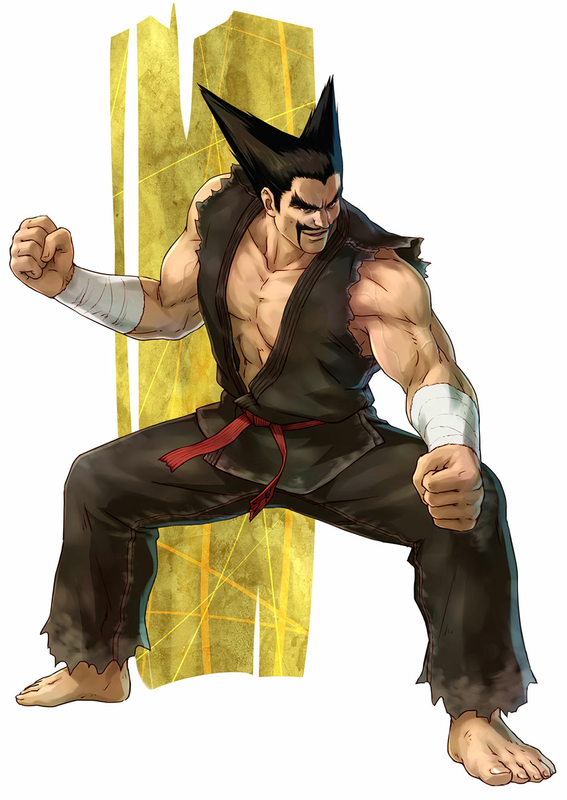 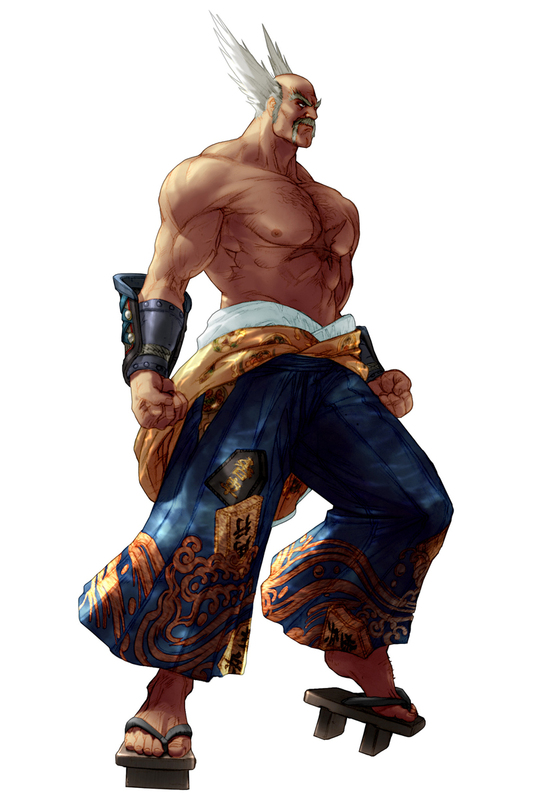 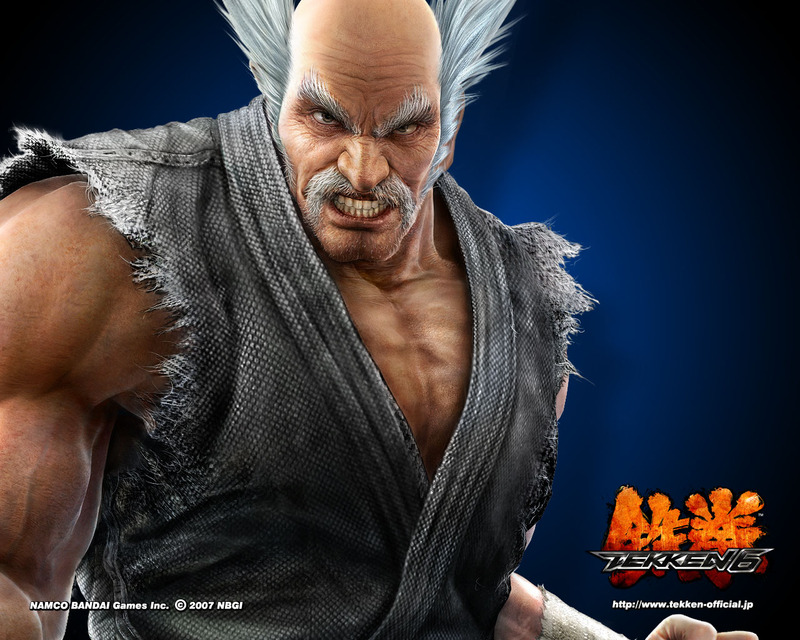 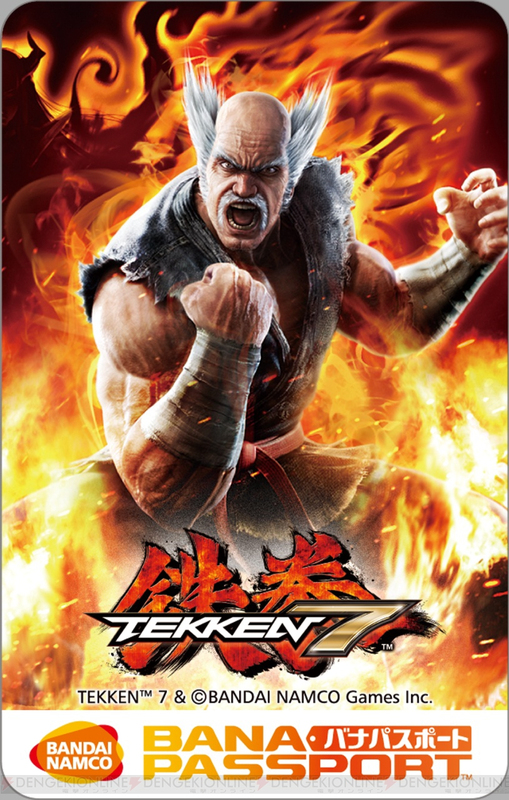 In 2011, a "young" version of Heihachi debuted in TTT2, and I gotta say his "classic hair" and re-imagined mustache is just too epic. 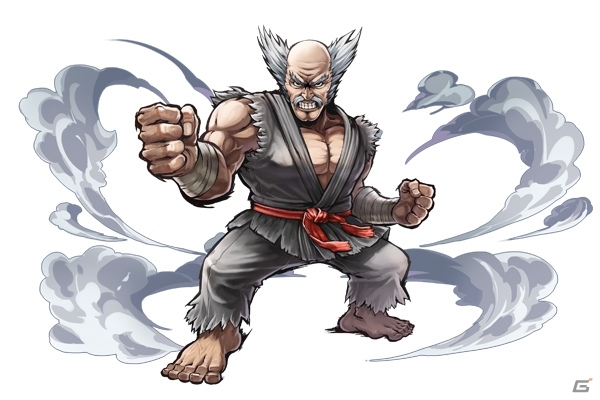 Finally, Heihachi's original voice actor, Gouri Daisuke, added so much to the character... he was Heihachi. 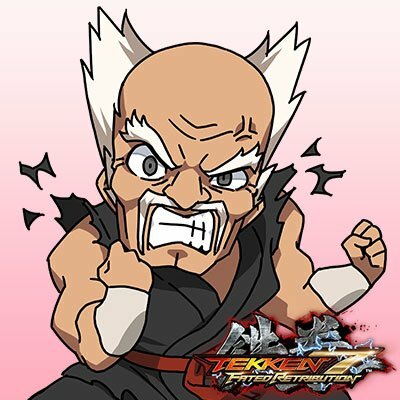 Rest in peace Gouri-san. 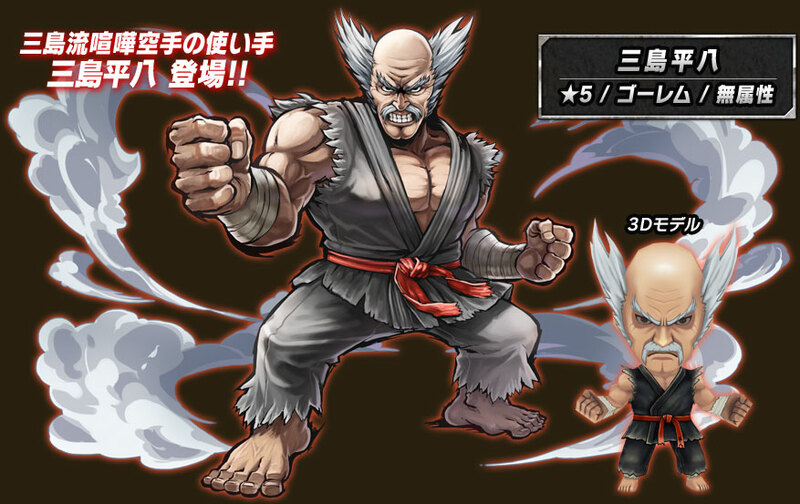 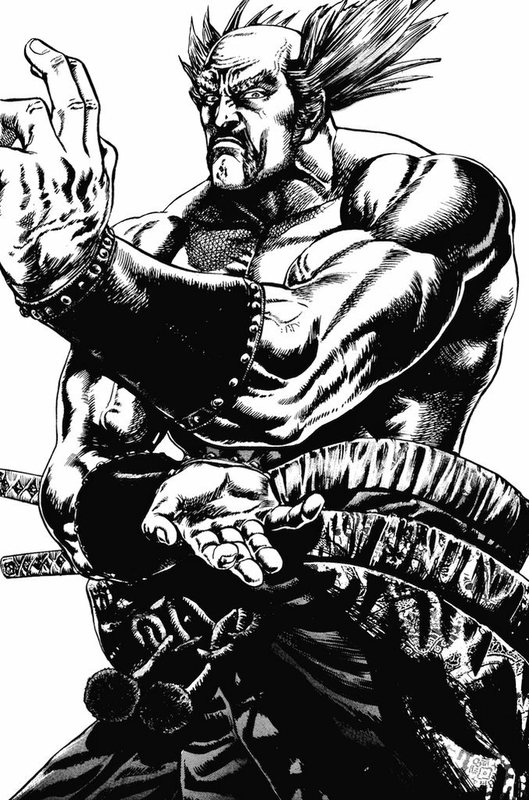 Click Here for more Heihachi Artwork!